Building good relationships are also often necessary if we hope to develop our careers. After all, if your boss doesn’t trust you, it’s unlikely that he or she will consider you when a new position opens up. Overall, we all want to work with people we’re on good terms with. We also need good relationships with others in our professional circle. Customers, suppliers, and key stakeholders are all essential to our success. So, it’s important to build and maintain good relations with these people. 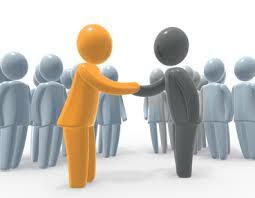 Mutual Respect – When you respect the people that you work with, you value their input and ideas, and they value yours. Working together, you can develop solutions based on your collective insight, wisdom and creativity. Mindfulness – This means taking responsibility for your words and actions. Those who are mindful are careful and attend to what they say, and they don’t let their own negative emotions impact the people around them. Open Communication – We communicate all day, whether we’re sending emails and IMs, or meeting face-to-face. The better and more effectively you communicate with those around you, the richer your relationships will be. All good relationships depend on open, honest communication.